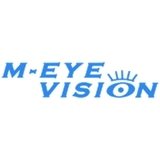 M-Eye Vision (Katy) - Book Appointment Online! At M-eye Vision we provide the Katy area with comprehensive eye health care for adults and children. We stay abreast of the most recent advances in all aspects of eye care, from the latest in eyewear lenses to new procedures for contact lens or laser vision correction. OrthoK (Corneal Reshaping: FDA Approved Contacts you wear ONLY while sleeping) makes us exceptional from many other practices. Call for an appointment today. We look forward to meeting you! Doctor and staff were very professional and courteous.